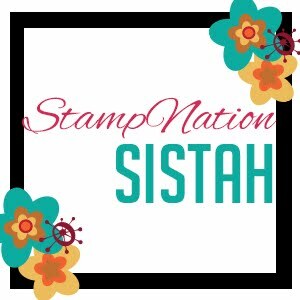 This is my entry for the Gina K, Stamptv DT challenge. I masked the bird then stamped the house. I then masked the house and edge of the frame and brushed and sponged the blue. Then the leaves were stamped. I pulled up all the masks and colored. Some of the leaves didn't stamp well next to the house so I used a small brush, slightly damp and used the Moss ink pad to paint in edges and leave detail. I added Wink Of Stella to the flowers and the Birds eye. For the sentiment I cut the top 2 corners of my frame and used on edges. 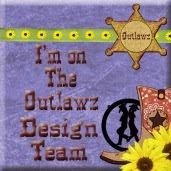 I made this image as part of my DT challenge at Outlawz as well as used the sketch for Sassy Studio Designs. Also entered into the Modsquad challenge which was red, white and blue. I had so much with this one. It is for several challenges. I combined the sketch from Modsquad with the colors from StampTv. 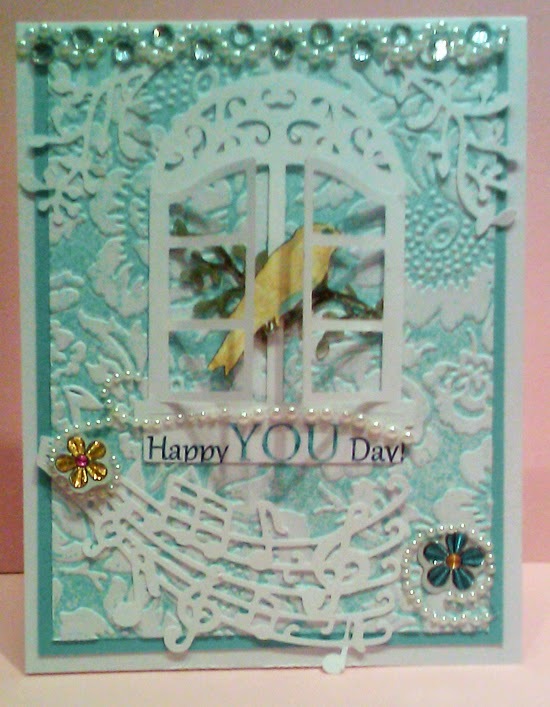 It will also be my entry for the Outlawz Paper Ala Mode DT challenge this week. 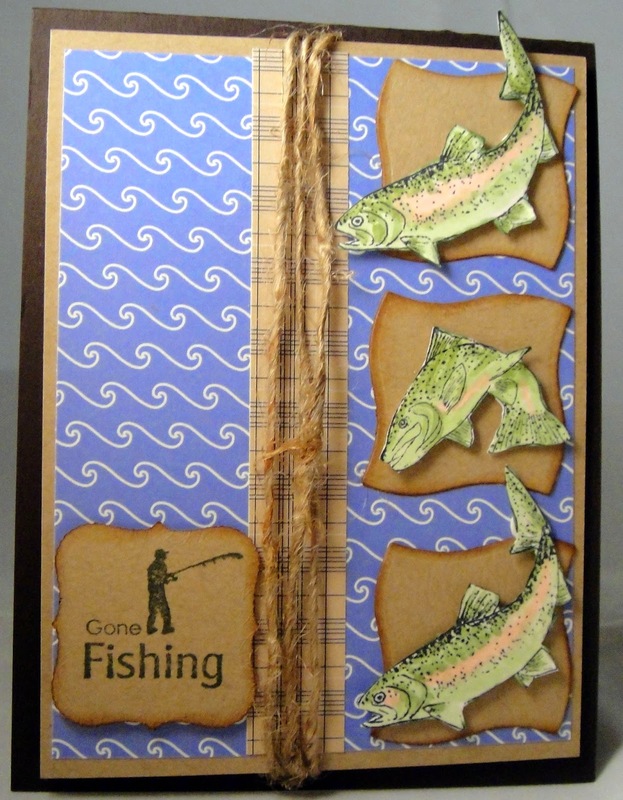 Fish and sentiment from GinaK Gone Fishing stamp set. Actually all paper is GinaK as well and the ink. Copics on the fish. 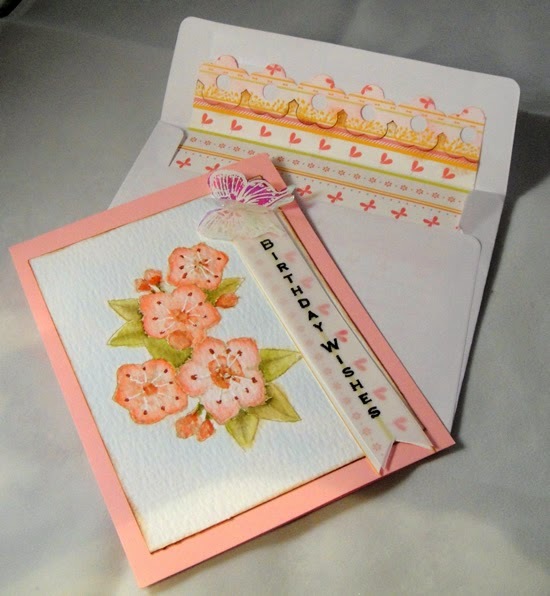 The flowers are from Stately Flowers 6, sentiment from Vertical Greetings. 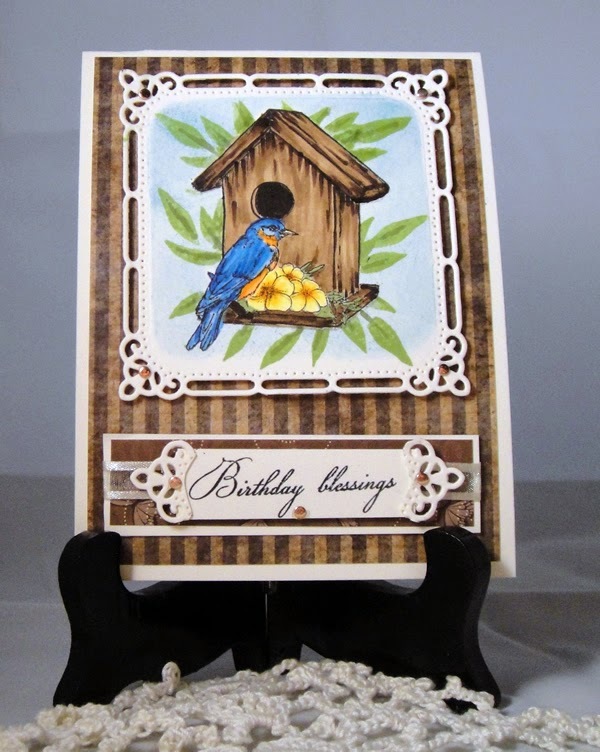 The sentiment is stamped on vellum and layered over the same paper as the envelop liner. The flowers are water colored on water color paper using distress inks. The butterfly is made with Fantasy Film, Opal and stamped with GKD White pigment ink. You can see through the buttetfly but you can't tell in a photo. The liner is a custom file I did in Silhouette Studio. The dragon flies and sentiment from Dreams Take Flight. The focal image is stamped with gold ink onto UTEE covered with opal Fantasy Film. 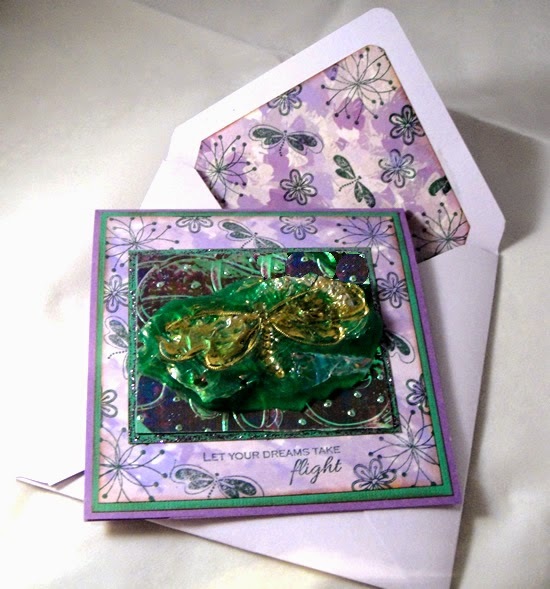 This is placed on green cardstock which I adhered more opal Fantasy Film with embossing glue. I then heated it and dry embossed.embossed. It is a lot more opal looking in real life. I stamped on the patterned paper. The envelop is custom made, 5.5X6. 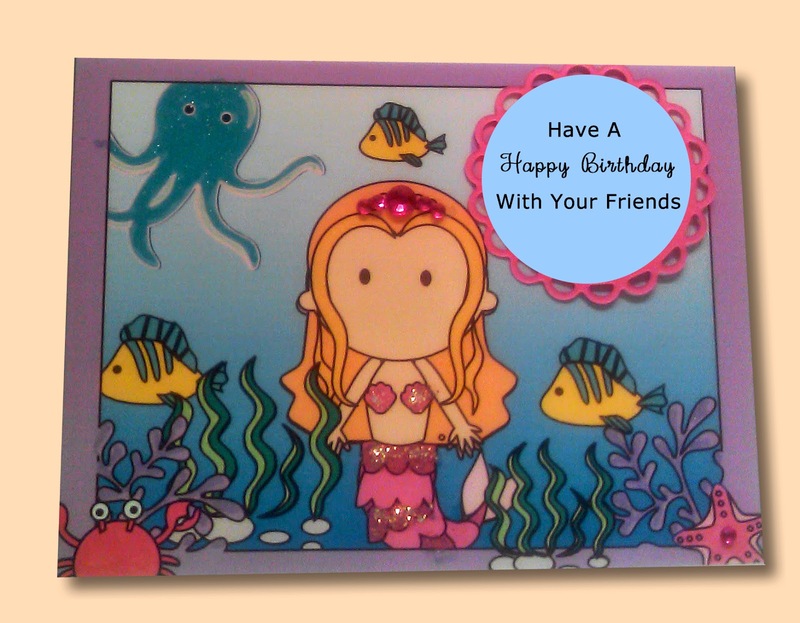 The liner was stamped with the same images as the card background. This is my first attempt at water coloring. I need lots more practice but it sure was fun. 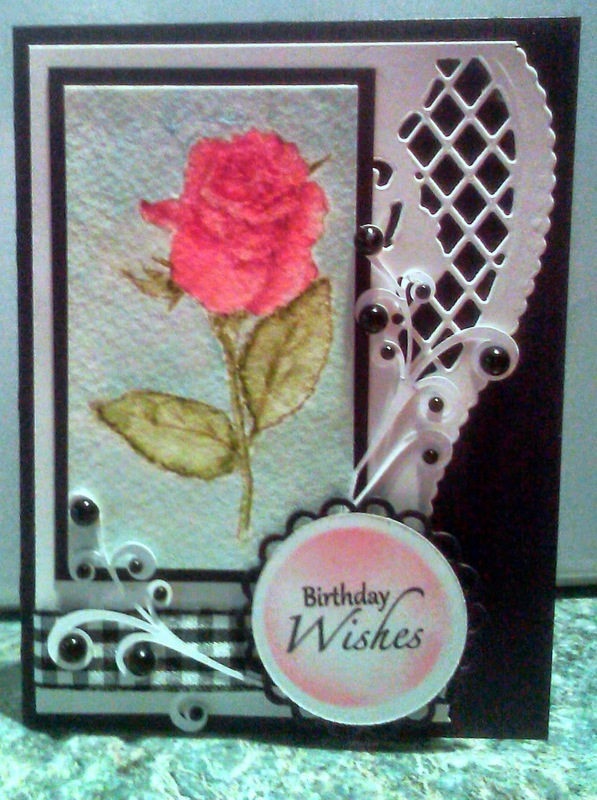 The rose is a stamp from Gina K, Stately Flowers 6, sentiment from Elegant Florals (Gina K). 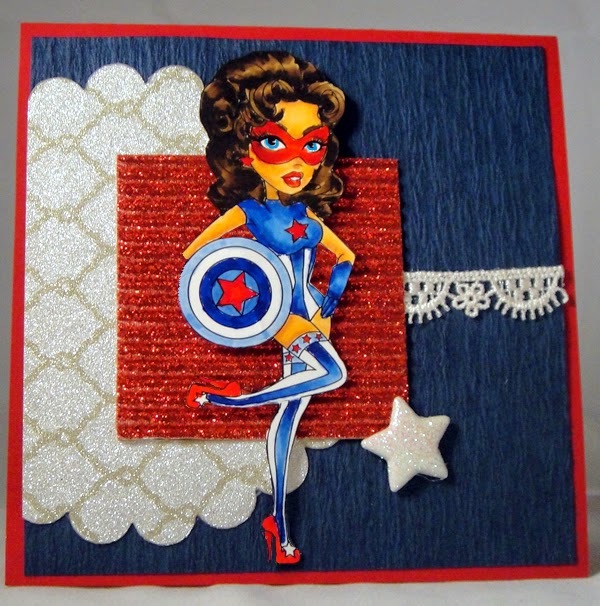 The edge die is from Marianne Designs. This is my DT entry for Outlawz Paper A La Mode Flowers challenge. I used Distressed inks and mixed with water. Rose, Barn Door, Mahogany. Leaves, Peeled paint. Background - Pumice Stone, Peacock. I made this for the Modsquad Challenge Blog. The theme was to make a masculine theme feminine. I have a lot of dimension but that caused a lot of shadows. I used a watercolor stamp technique for the background. 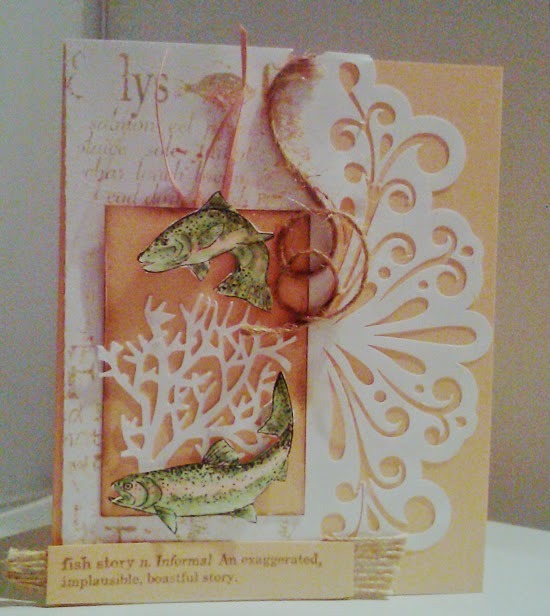 The fish and sentiment from Gina K Gone Fishing. Die cuts from the Silhouette store. This a Kaboodle Bug Design Cut file. I arranged all the pieces and colored, printed and cut.